After installing Windows 10 October 2018 Update version 1809 you might get a problem with a white box with red borders and a red ‘X’ like below screenshots show. UPDATE January 22, 2019: KB4481031 Preview of Cumulative Update for .NET Framework 3.5 and 4.7.2 for Windows 10, version 1809 and Windows Server 2019 seems to solve this issue. 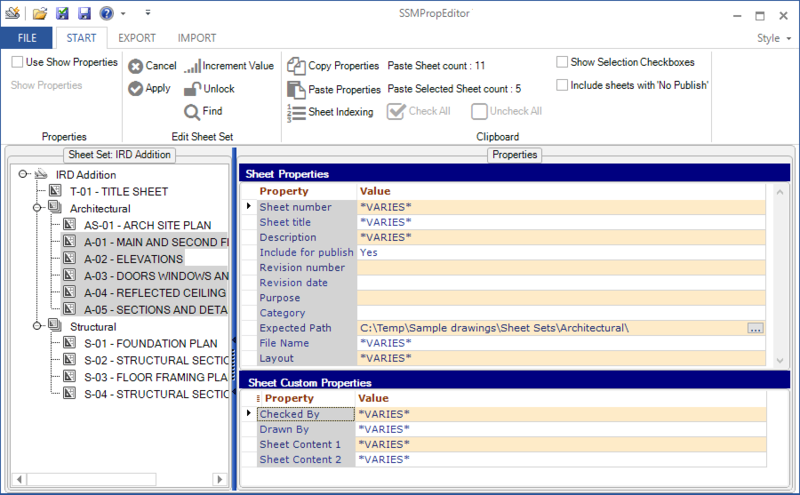 In SSMPropEditor it can happen using some of the commands that will open a file dialog box like open, export, import. It can also happen in JTB FlexReport and other apps both by us and others. 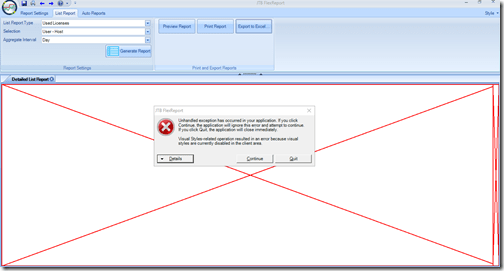 Clicking on Details in the error dialog box may show something like this. “System.InvalidOperationException: Visual Styles-related operation resulted in an error because visual styles are currently disabled in the client area. Microsoft’s .NET Framework 4.8 Early Access Build 3707 fixes the problem. Download links for .NET Framework 4.8 Early Access Build 3707 can be found here. A .NET 4.7.2 servicing fix for this will be released by Microsoft in near future and will also be included in the next version (4.8) of .NET Framework. According to this knowledge base article AutoCAD and AutoCAD LT 32-Bit will be discontinued in upcoming AutoCAD 2020. “Over the past several years, Autodesk has reduced its support for 32-bit systems which are low in memory and result in a poor drafting experience and high crash rates. Starting with the next annual release of AutoCAD, there will no longer be a 32-bit offering for AutoCAD, AutoCAD LT and Developer Products. By eliminating use of this outdated technology (and focusing on 64-bit solutions), we will be able to provide our customers a better AutoCAD experience and focus on delivering more value to our subscribers. 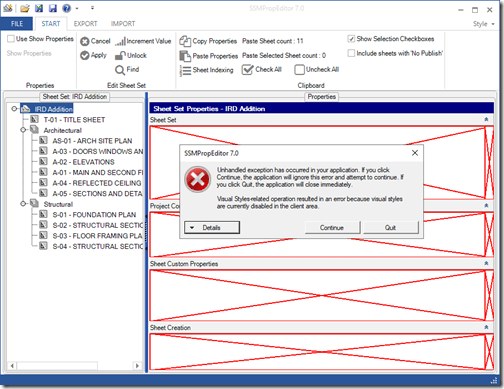 If you are currently running 64-bit AutoCAD or AutoCAD LT: There is no action for you to take and you will not be impacted by this change. If you are currently using 32-bit AutoCAD or AutoCAD LT: Customers who are currently using 32-bit AutoCAD or AutoCAD LT can continue using their current software without any issue. JTB BatchAttEdit 2.5.2 has been released. This batch attribute editor app for AutoCAD collects attributes in all blocks of specified name patterns in multiple drawings and display in a wide spreadsheet. Then you can edit attribute texts as easy as working with Excel. Once done, click "Apply Attribute Changes" to update values to drawings. Try it for free by downloading from JTB BatchAttEdit. JTB Layout Palette 2.1 is released. Manage drawings with many layouts easier in a palette. 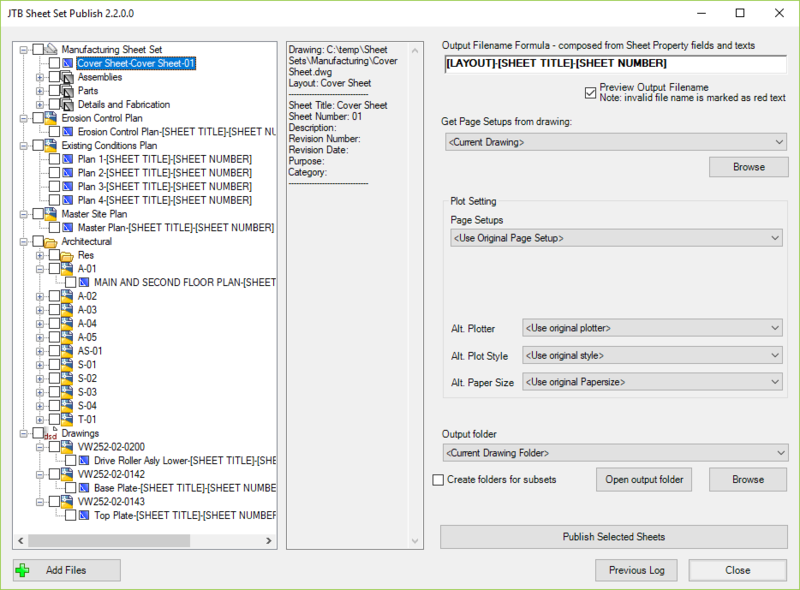 JTB Sheet Set Publish 2.2.1 has been released. 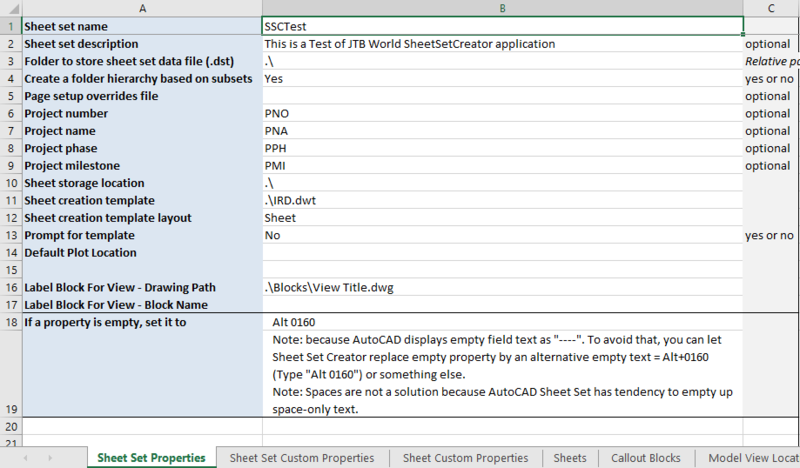 It is an app for AutoCAD that publishes sheets in Sheet Sets, layouts in other drawings, folders or drawings in DSD files to files like PDF and DWF. The files created are named as you want based on a naming formula that you specify. Use date fields and/or sheet properties of your choice to build up the output filename. 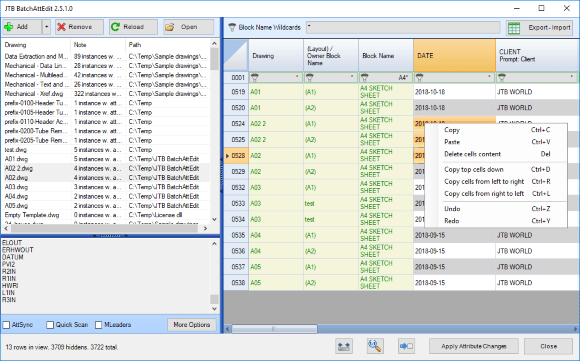 JTB FlexReport 11.2 is released. There are a few new features as well as a bunch of bug fixes. See the version history for details. 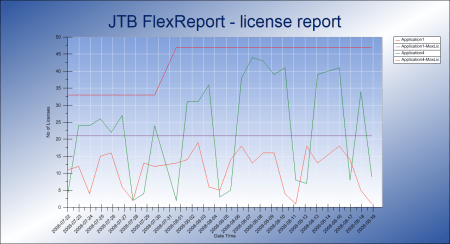 If you have FlexNet licenses check out our JTB FlexReport LT freeware that has been updated to version 1.7.